At Granite Nations, we provide bathroom cabinets installation and repair service. We have a team of professionals who are committed to enhancing the look of your bathroom. For the past many years, we have been serving our clients with high-quality services across Ajax, Courtice, Scarborough, Toronto & Whitby. Cabinets can easily get scratched, especially because they are used very often. Everyday wear and tear can even make the drawers fall off of the hinges. You count on your cabinets to keep a lot of things and it is necessary to get them repaired or replaced quickly to avoid any hassle down the lane. 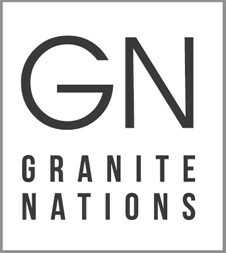 At Granite Nations, our professionals are competent to fix any kind of damage in a timely and efficient manner. Granite Nations has years of experience in fixing and installing cabinets of various sizes, styles and types. Whether you want wall cabinets or base cabinets, we have you covered. We can also repair broken hinges and fix fault drawer-slides on your bathroom cabinets in Toronto and surrounding areas. We believe that cabinets should be installed properly to ensure their durability. We take great pride in the quality of our workmanship, our excellent customer service and affordable prices. We are passionate about our work and love to transform your ideas into a reality. We provide our clients with a wide range of solutions to best meet their expectations. Our professionals make sure that you get an aesthetically-pleasing final product. No matter how big or small the project is, we will provide you the support you need throughout the process.